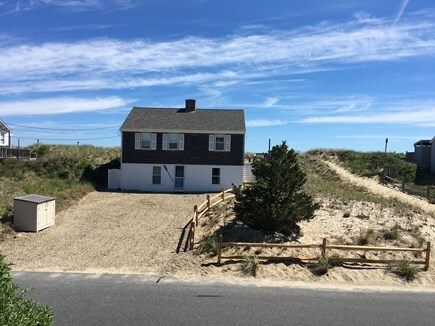 This charming, waterfront cottage sits on private Sagamore Beach in Sandwich, Massachusetts complete with a path through the dunes. 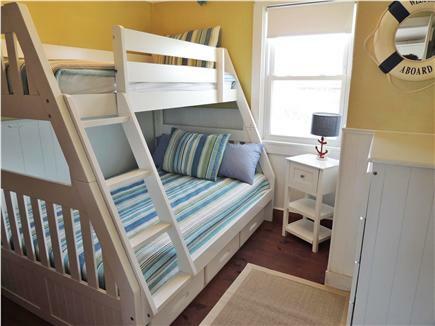 The cottage has 4 bedrooms (one king, 2 queens and one bedroom with a twin-over-full bunk bed). 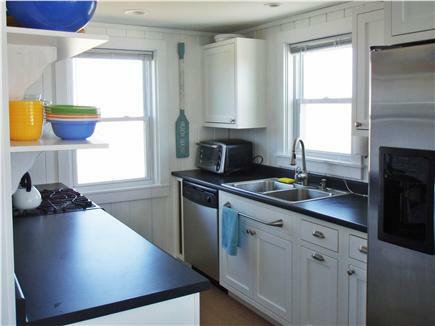 The updated kitchen features new cabinetry and all stainless steel appliances. Since most of summer living is done outside, this home features a wide, 35-foot long deck and private sand basin for little tykes. Surrounded by dunes, the deck is a private, picturesque retreat. From the beach you can see the Cape Cod Canal to the right and the White Cliffs of Plymouth to the left. The cottage resides on a dead end road open to residents and guests only. It is perfect for walking or riding your bike to the canal to watch the ships come in. Find sea glass on the beach and make new memories. Whether the tide is low or high, this private beach will truly make you feel like you have found paradise. 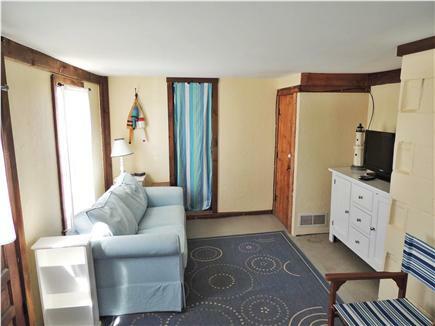 There is a ground floor bedroom and full bath. However, the interior and exterior stairs are not handicap accessible. We have been going to Phillips Road for decades. This was our first time renting this home. We absolutely loved it. 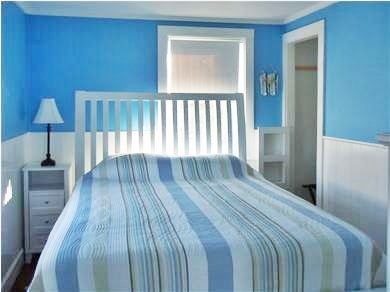 Bright , cheery , clean, comfortable and the best views. Love, love, loved it. We were celebrating a big birthday milestone in our family (grandmothers 90th). 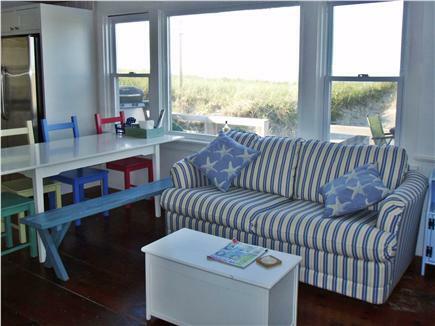 My immediate family was fortunate enough to be able to stay in this most adorable classic Cape Cod cottage. 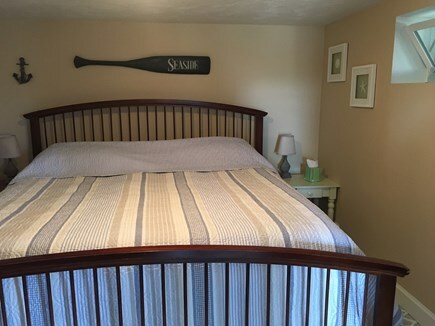 The Parker Cottage is well appointed with lovely linens, towels, and a super well stocked kitchen filled with the utensils needed for food prep. It was so comfortable that we hardly ever left. 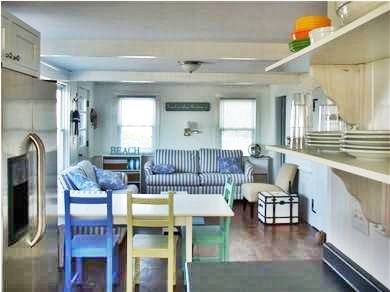 We had all meals at the family size kitchen table or out on the spectacular deck. We felt so spoiled being able to walk down the path to the gorgeous beach and spend the afternoons by the ocean. Morning coffee was on the platform overlooking the water, evenings were spent on the deck or down by the water's edge. This cottage is so relaxing. The beds were cozy and the couches comfortable.We really felt that we were staying in a most special home where much pride and love was put into everything done inside and out. We had a perfect week at this cottage. It was a great experience from start to finish. The owner, Shannon, is a sweetheart & so easy to deal with. There were 6 of us that stayed at the cottage & there was plenty of room for everyone to enjoy themselves. 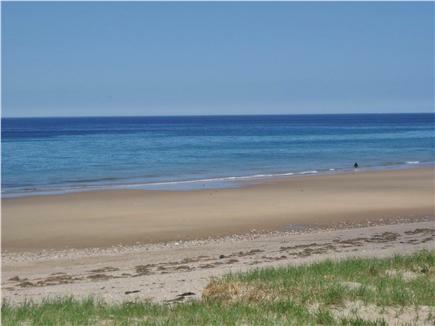 Location is perfect....Sagamore Beach is beautiful & not crowded at all. We are hoping to make this an annual trip! Couldn't have asked for more. Comfy cottage that felt better than home. Everything we needed to make some great meals. Board games for fun nights ... And, well, the views and the beach were absolutely wonderful. We relaxed and left with great memories and feeling totally restored. Looking forward to next year! ... And Shannon made us feel right at home as if we were family. Many thanks. We returned to Sagamore Beach for our family vacation after many years of vacationing in other locations. 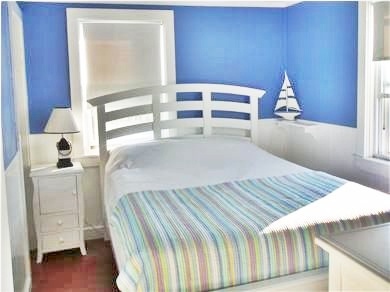 My husband started searching our go-to site Weneedavacation.com and was instantly drawn to Parker Cottage because of the upper deck photo. 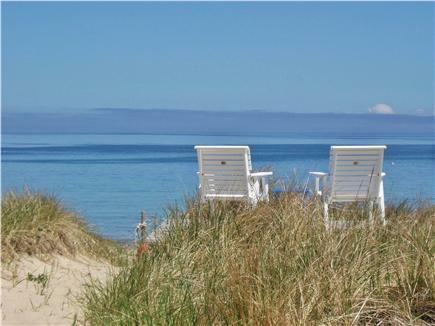 He could picture us relaxing on those comfy white chairs, and, needless to say, that's exactly what we did. Every morning, coffee in hand, watching the boats go through the canal. When dusk was approaching we were back up there with cocktails in hand enjoying the sunsets. 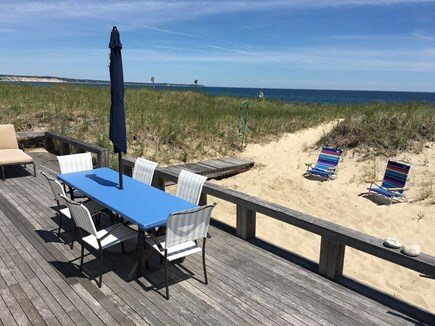 In our opinion, that deck is the best location on the Cape. We had optimum low tide hours during the day when we were literally the only people on the sandbar. It was like we had the whole beach to ourselves, and it was awesome! The beach is beautiful and so close to the house. We couldn't believe how big the sandbar was at low tide, and we loved walking to the Cape Cod Canal. The cottage is so nice and comfortable, it was hard to leave. We'll definitely be back!